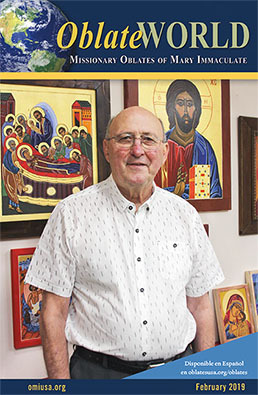 The Spanish Oblate Mario León DORADO is one of the three Missionary Oblates serving in Western Sahara. 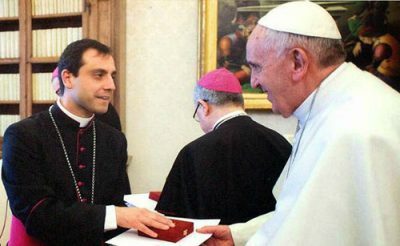 On 24 June 2013, he was appointed by Pope Francis as Apostolic prefect of Western Sahara, prefecture of which he had been the administrator since the resignation of Fr. 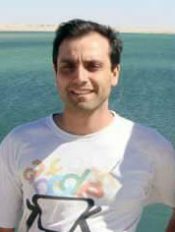 Acacio Valbuena RODRÍGUEZ in 2009. Here he shares with us his experience at the recently concluded Regional Episcopal Conference of North Africa (C.E.R.N.A.). Although it may sound too poetic, it may be said that a person is alive when he can laugh and cry. 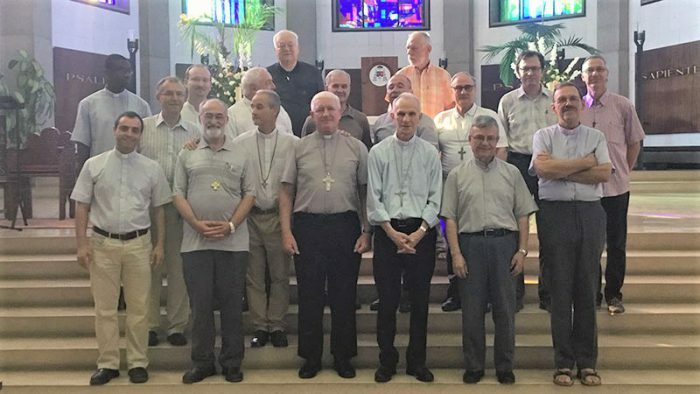 Well, in these past days, from September 23 to 26, the pastors of the Catholic churches of Northern Africa met in the city of Tangier to “laugh” and “cry”. And the church in North Africa is a very living church: small, poor, but alive, Alhamdulillah! By the “caprices” of Providence and the will of God, the Oblates are in charge of the Apostolic Prefecture of Western Sahara. As Prefect, I have been privileged to participate in the meetings of the Regional Episcopal Conference of North Africa (C.E.R.N.A. ), which meets almost every year. In ordinary sessions we are few, barely 19 – in theory, 9 bishops and archbishops, 8 vicars general and an apostolic prefect. In practice, for several years now the bishop of Tripoli as well as the apostolic administrator of Benghazi cannot attend because of the war in Libya. 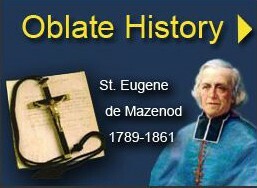 There was another Oblate in Libya for a time, as Bishop Giovani Martineli, former bishop of Tripoli, often reminded me – Father Enrico D’ONOFRIO. The sorrow, and a very big one, is the situation of our migrant brothers. They cross our prefecture leaving traces of the Gospel where they pass. They are, without a doubt, our poor to whom we are obligated. The OMI Mission of the Sahara is dedicated to them in body and soul. But in the north, the situation is even more painful. With them and for them, we suffer and cry. In fact, they were the reason of our meeting in Tangier, a city in which they anxiously await the moment of either jumping into the sea or jumping over the fence of Ceuta. It is impossible to live in this city, Tangier, and not feel like crying out about the suffering of these “poor among the poor”. Between the Bishops of Italy and the C.E.R.N.A., the idea of ​​coordinated efforts between the churches on both sides of the Mediterranean takes shape. A delegation from the Commission for Migration (CEMi) of the Italian Episcopal Conference (CEI) arrived in Tangier. They wanted to see “in situ” our reality: what we live on the “other shore”. In our communities, CARIDAD is lived without distinctions. 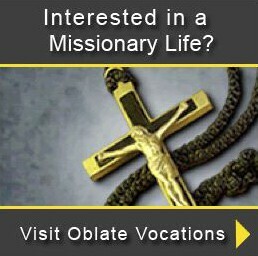 The Oblates also work in coordination with the Church of Morocco. But it is never enough. A brother, a bishop from Algeria, reflected: “Maybe we cannot give an answer to everyone, but we cannot stop suffering for everyone – to make ours ‘the tear’ that the heart of Christ, our Lord, sheds. Moreover, a joy. There are many: the evolution of Islamic societies in North Africa; the new converts who are asking for baptism. But I would stress an event that will take place on December 8: the beatification of the 19 martyrs of Algeria, Bishop Pièrre Claverie and his companion martyrs. The celebration will take place, God willing, in Oran (Algeria), on the Feast of the Immaculate Conception! Perhaps we all remember the seven monks of Tibhirine, thanks to the film “Of Gods and Men”, but also among the blessed, will be Bishop Pierre Claverie, Bishop of Oran, and 11 other religious men and women who, with all their heart, chose to share the fate of the people who welcomed them with affection and whom they served. Along with the beatification of our 19 brothers, Algeria will also honor the 114 imams who refused to “endorse” the acts of violence of the radicals and who were similarly assassinated – another 114 “authentic Muslim martyrs”. All of them were witnesses of coexistence, of peace and of encounter. Perhaps they will all help us with their example and intercession. I ask you fellow Oblates to help us respond to one of the Chapter’s appeals: How is our charism concretized and lived in this church, through interreligious dialogue with Islamic culture? As you can see, many joys, many sorrows… a lot of life, Alhamdulillah! Let us all pray that the Kingdom of God may come. Amen. OMI Mission of the Sahara.